If you’re on a plane, stuck in a dentist’s chair or passing the time at a relative’s house, a magazine can be just the thing to cure your boredom blues. Magazines are a great way to pick up fashion and beauty tips, learn about the world and catch up on your celeb gossip. Do you consider yourself a “magazine queen”? 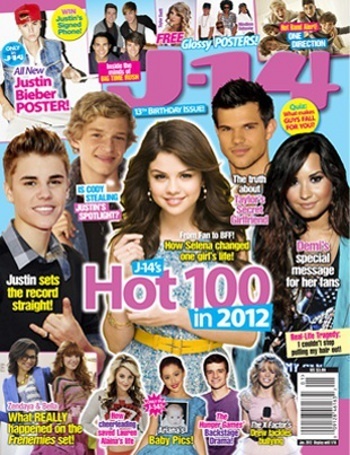 Find out by looking at Kidzworld’s Top 10 magazines for Teens! 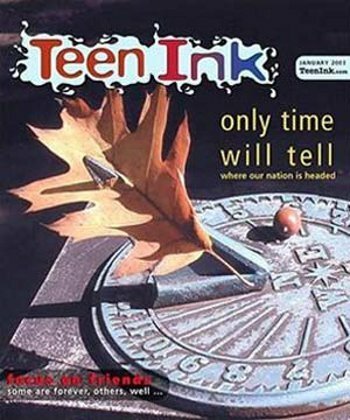 Started in 1989, Teen Ink isn’t just for teens, it’s BY teens! If you have dreams of writing, or even just want to get your opinions out there, Teen Ink can help you do it. Follow teen ink online at www.teenink.com. Want to get published? Check out Teen Ink! M Magazine is pure pop culture goodness. Check in on your celebrity crushes, take quizzes and see what the stars are wearing! For tweens and teens, Discovery Girls Magazine features the stories of real girls - written by and for girls. They cover everything you’re your favorite hobbies and the environment to shopping and daily problems. 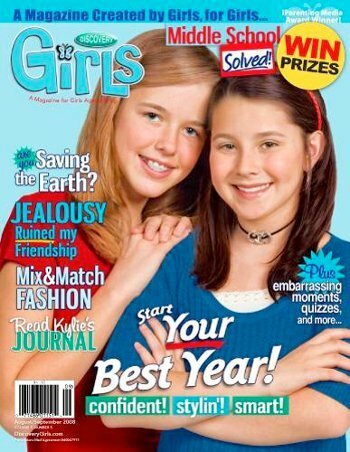 Girl's Life Mag: by girls, for girls! One of the longest running teen celeb mags, J-14 will keep you up-to-date on your fave teen stars and the latest celebrity trends. From the hottest bands to TVs biggest stars, Popstar! will get you the latest scoop and keep you in the loop when it comes to celebrities. All pop stars, every issue! Girl’s Life has fashion advice, beauty and style tips with celeb interviews and news sprinkled in to keep it interesting. Besties and co-stars Zendaya Coleman and Bella Thorne from TV’s Shake it Up! grace this month’s cover. 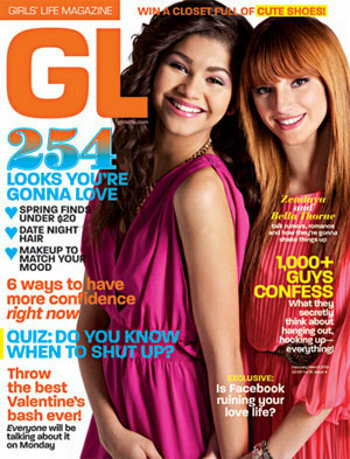 Zendaya and Bella are on the latest cover of Girl's Life! Straight up celebrity news and reviews, just like M and J-14, Twist is all about juicy teen star gossip with great quizzes and games thrown in. It may be called American Cheerleader, but you don’t have to be into doing choreographed dances on the field or pom poms to get into this mag’s articles. From health and fitness to school and celebs, American Cheerleader will keep you reading! The original teen magazine, Seventeen has been around since the 1940s. Without a doubt, Seventeen set the tone for all teen magazines to follow. With great photo shoots, interviews, advice and celeb news, Seventeen has earned its place as one of the most popular teen magazines in the history of publishing. Little Known Fact: Seventeen was one of the first places to publish a story by great American poet/author Sylvia Plath. Style-savvy teens know to turn to Teen Vogue (the “little sister” of Vogue Magazine) for style tips and advice. 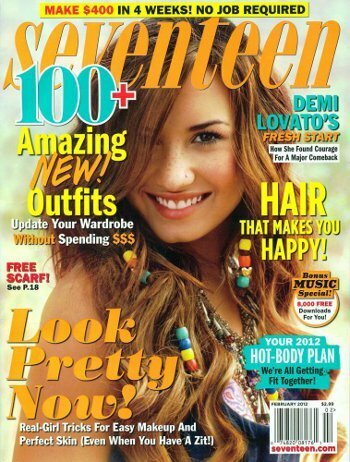 Teen Vogue features fantastic photo shoots with your fave celebs and the hottest new trends in fashion and beauty. It also has movie and music news to keep you in touch with the latest in pop culture. What’s your fave magazine? Let us know in the comments section below! Tavi Gevinson is no "Style Rookie"